The Sunset Marquis has such a storied history. And after a massive renovation, as well the area undergoing a well-funded tourism and hospitality resurgence, the owners wanted to draw attention to the hotel's rock and roll heritage but simultaneously, position it as a luxurious alternative to other hotels in the area. This campaign included print, Web, collateral, and in-room (table tents, key card envelopes), and more. Click the images below to scroll through the carousel. 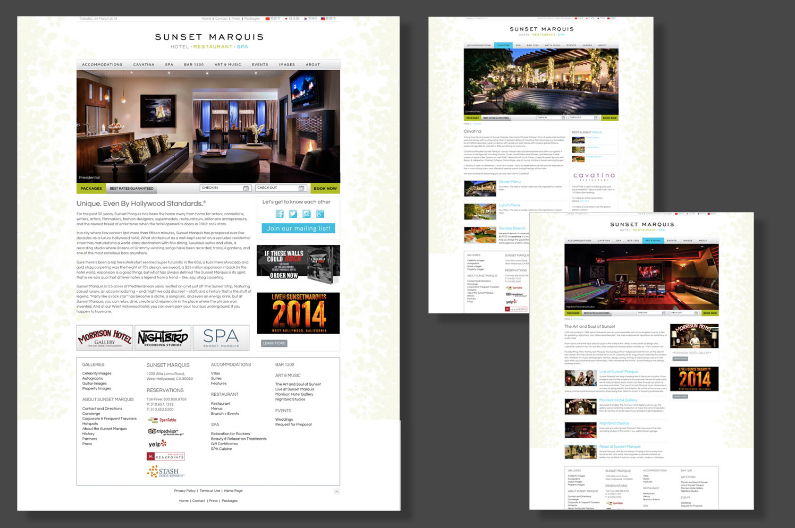 While the copy is updates frequently, most of my copy still appears on the Sunset Marquis homepage.